Earlier this week it was announced the second annual Women's Battle Royal will take place at WrestleMania 35. Involved in the match thus far: Asuka, Carmella, Naomi, Lana, Mandy Rose, Sonya Deville, Nikki Cross, Dana Brooke, Ruby Riott, Liv Morgan, Sarah Logan, Mickie James and Zelina Vega. Obviously, the big news there is Asuka going from being SmackDown Women's Champion—who would have most likely been involved in a singles or multi-woman title defense—to the battle royal in a reported last minute decision to put the title on Charlotte earlier this week. As noted, Naomi threw some shade at WWE about the upcoming battle royal, "Y'all sure this ain't going to get cancelled too? Btw thank you so much for the opportunity." Naomi knows what that's like as her match (The Funkadactyls, Brodus Clay, and Tensai vs. The Bella Twins, Cody Rhodes, and Damien Sandow) was cut from WrestleMania 29. Shortly after she posted a photo with herself an Asuka, "I got you sis #WWEPikeville #JusticeForAsuka." Since her initial comments, a few individual have shot back at Naomi, one of which called her "entitled." Naomi responded, "This isn't about me this is about our division as a whole we all work to hard & have come to far to come THIS FAR! So go back to your cave bish this don't concern you." 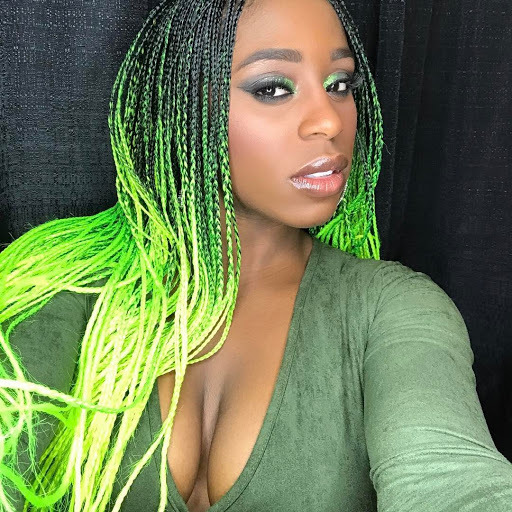 Naomi then tweeted out a selfie with the caption, "Unapologetically passionate and determined #feeltheglow." Another individual called Naomi out, saying her position on the card most likely didn't change, but the former Women's Champion reminded them it's not just about her. "You right, there was never plans for me. However, I was looking forward to what could have been for others & do my part for them to get there, but I guess I should be happy I get to sit in catering, not contribute, not do what I love, [and] keep my mouth shut because the truth may ruffle feathers." Finally, a fan thought it would be best for Naomi to be "humbly silent for the sake of your career." Naomi replied, "Boo, I've been humbly silent for a decade I don't have another decade in me especially not for b.s."